Year: 1950 Item #: 416 Views: 3,786 Comments: No Comments. At last - a bed that I can stretch on! 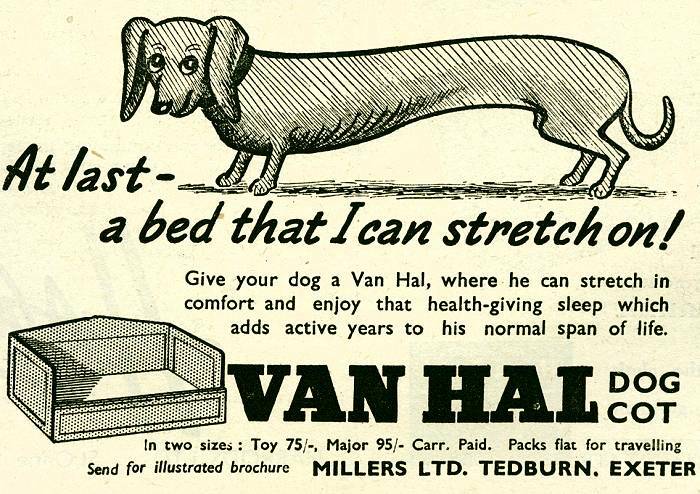 Give your dog a Van Hal, where he can stretch in comfort and enjoy that health-giving sleep which adds active years to his normal span of life.